California Speech-Language Pathologists are busy, busy professionals. Whether you're in private practice or a clinic or a larger facility, it's a good bet that your free time is limited. It's not surprising then that the last thing on your radar is going to be deciphering sometimes confusing and contradictory rules about approved and accepted continuing education requirements. On the surface, it seems like the California Speech-Language & Audiology & Hearing Aid Dispensers Board require all SLPs to complete 26 hours of continuing education on a biennial basis with a home study limit of six hours. That's not great for those aforementioned busy practitioners. Finding the time and resources to attend 20 hours of live classes are definitely going to cause you some headaches. The Board does, however, remove the home study limit for online courses that are interactive. That's good, yes? It certainly is, but it does pose its own set of problems, mainly finding good courses that qualify as interactive. There are a few things that you should look for to confirm that the courses will qualify. Are The Courses ASHA Approved? 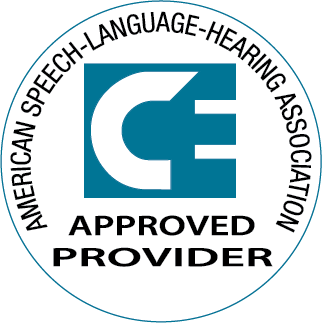 Approved providers are required to display these logos on their site and attached to courses in order to comply with strict ASHA regulations, giving you the confidence that the course you are signing up for is accepted by the California Board. If you can't find either of these marks, steer clear! Online courses must have to be interactive, meaning you can interact with the course presenter, to be considered exempt from the home study limit. Courses that qualify need to have clear and obvious language stating that they are, indeed, live interactive sessions. Where Can You Find These Courses? Truth be told, and this is not just tooting our own horn, the courses can be tough to find. That's why we have been working overtime to provide a steady flow of approved, live interactive continuing education courses specifically to meet YOUR requirements. Our ASHA approved Webinars meet all the criteria set out by the California Board to be exempt from the home study limit. 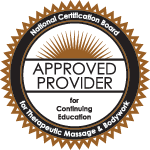 They also offer a greater level of convenience and financial savings for therapists. You can find the schedule below and listed in the course catalog. California Speech-Language Pathologists (and Speech-Language Pathologist Assistants, too!) can complete their entire 26-hour continuing education requirement with HomeCEU webinars.